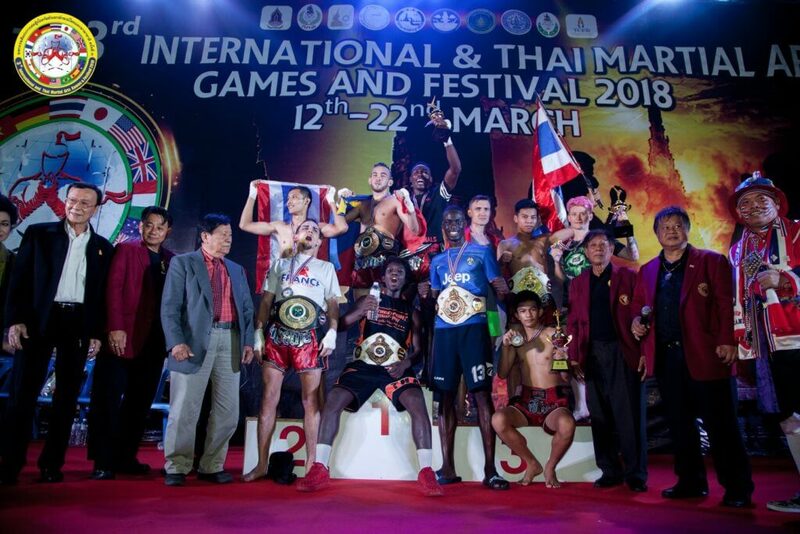 The 3rd International and Thai Martial arts games and festival this past 12-22nd March 2018 was more than a spectacular event. 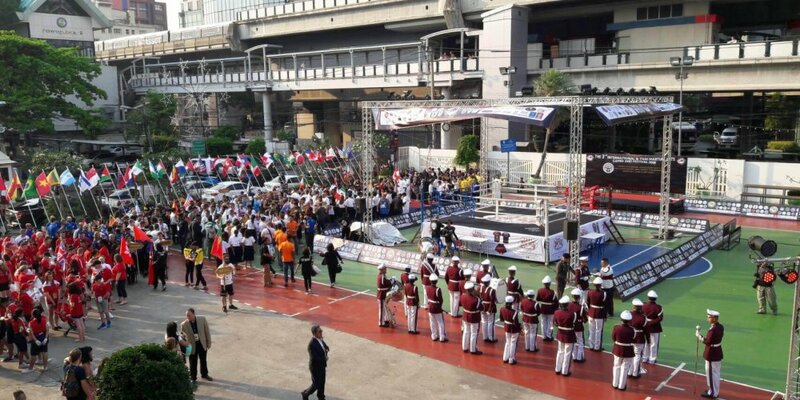 Held by The Kru Muaythai Association (KMA) conjoined with Thailand’s Ministry of Culture, World Muaythai Organization (WMO) and World Muayboran Federation (WMBF). Supported by the Ministry of tourism and sports, Ministry of Foreign affairs and the Minister of Tourism who was warmly welcomed as our special guest at the opening ceremony declaring the games officially open. Located at Nimibutr, National Stadium in the Center of Bangkok, Thailand. 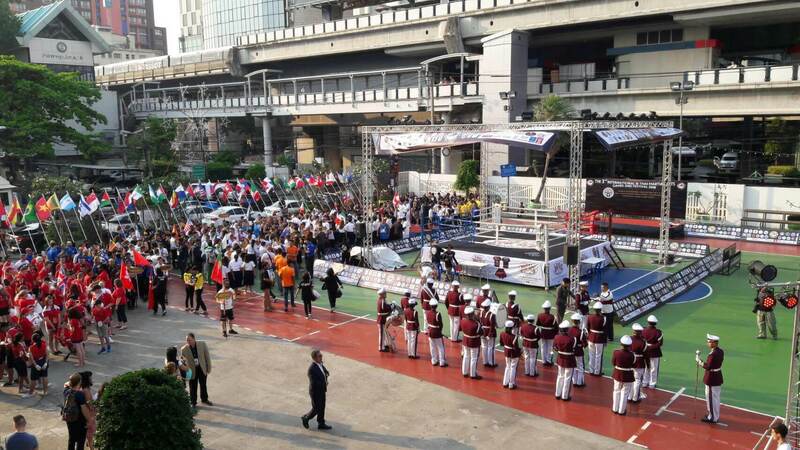 This years festival was much more apparent than the previous years, as the ITMA Games and Festival organizers collaborated with other worldwide leading martial art and combat sport organizers with the shared goal to create an immense International and Thai Martial arts games and festival each year. As previously the KMA, WMBF and WMO hosted the leading Thai Martial arts (Muay Boran and Muay Thai) with this year joining with the WKA as hosts of the Kickboxing section, Carlson Gracie BJJ hosting the Brazilian Jiu-jitsu International Cup and Bushiban as the hosts for Sports Karate and other mat sports. This is an enormous breakthrough for Martial arts. Not only does this create an open platform for all National and International Martial artists to collaborate together in one place, share their skills and compete for International titles, but it titles Thailand as an epi center for Martial arts, sports tourism and sports culture. The festival aims to promote the best athletes in the World within their competing martial art disciplines as well as to promote culture exchange and friendship through competing and sport. Disciplines included in the festival this year; Muay Thai (Pro-am and professional), Muay boran (Amateur), Kickboxing, Western Boxing, Brazilian Jiu-jitsu, Karate, Dungal wrestling, Jeet kwon do, Tangsoo-do and Dap Thai (Thai Sword). Other activities hosted by the event; Judge and referee seminars, Muay boran seminar and gradings. As well as, Miss. Angel Warrior and Mr. Fitness competition and lastly the 14th annual World Wai Kru Ceremony in Ayutthaya province held by the Tourism Authority of Thailand (T.A.T). A total of 57 Nations and more than 800 participants joined the entire event. Regarding the huge success and positive feedback from this years event, many of the joining organizations look forward to working together again in the International and Thai Martial Arts Games and Festival with high hopes for the future.